A bohemian clutch bag handmade with batik fabric and white cotton tassel finish. This fringe bag is a great clutch purse for an evening out with friends. 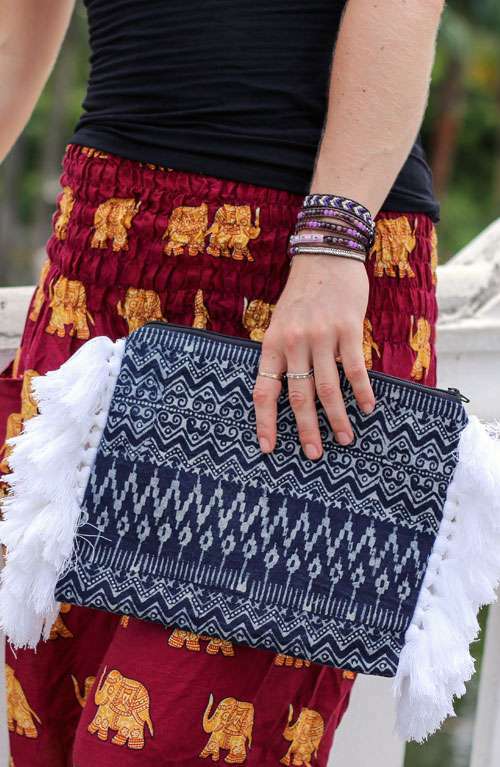 This boho clutch bag is handmade with love in Northern Thailand. The fringe bag features beautiful hand stamped batik fabric with snow white cotton tassels. This large tassel clutch purse has a zipper opening, a zipper pocket inside and is fully lined with black cotton.